Diversification has been key in the expansion of the company. Grupo Karims was founded at the beginning of the 1970s in Pakistan by the Amdani family, in the area of basic products and then transitioned into the textile industry. Due to their acceptance in Asia, in 1991 they founded the first business in America, specifically in Honduras, to later open in Guatemala, El Salvador, Nicaragua, Costa Rica, Colombia, Mexico, the United States, Dubai and the Dominican Republic. This allowed them to diversify and create new divisions with the business, like Honduras Spinning Mill, that manufactures millions of pounds of thread; Nicaragua Spinning Mill produces innovative yarns with the highest technology in the region; Manufacturing Pride, offers the complete package, that is then exported to the big brands in the United States; Pride Performance Fabrics, fabric division, and Pride Chemicals, which manages chemical products, textiles and real estate. 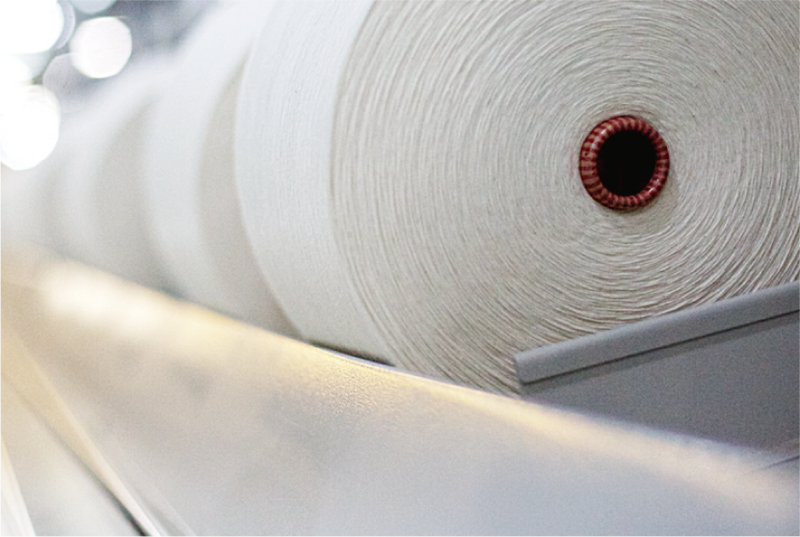 It was decided to invest in Guatemala because the country has the adequate conditions to generate greater productivity due to a perfect geographic location, which allows importing our products almost immediately, so we are able to immediately give our clients yarn, and due to the same location, they can quickly export the final product to the big brands. At the same time, the human and professional value that Guatemala has is unique to the region, with dynamic, effective, cheerful and very motivated staff to reach their goals. The free trade agreement between Central America and the United States is another one of the great benefits, because it has allowed us to generate greater business and reduce the tariff barriers that for other countries are a limitation. At the same time, Grupo Karims has competitive costs, which allows us greater productivity with the lowest utility costs in the region. Service Culture. Other main benefits that Grupo Karims has in Guatemala are the duty free zones, which allow us to offer our clients competitive prices and immediate deliveries thanks to a broad variety of storage warehouses, which makes us highly competitive in the region. The success of Grupo Karims is due to a culture of service and innovation, because it allows to always surpass the expectations. One of the famous phrases that is most adequate to the essence of Grupo Karims is the following: “If you want to succeed you should seek out on new paths, rather than travel the worn paths of accepted success.” John D. Rockefeller, US Tycoon. Grupo Karims was founded at the beginning of the 1970s in Pakistan by the Amdani family, in the area of basic products and then transitioned into the textile industry. Due to their acceptance in Asia, in 1991 they founded the first business in America, specifically in Honduras, to later open in Guatemala, El Salvador, Nicaragua, Costa Rica, Colombia, Mexico, the United States, Dubai and the Dominican Republic. This allowed them to diversify and create new divisions with the business, like Honduras Spinning Mill, that manufactures millions of pounds of thread; Nicaragua Spinning Mill produces innovative yarns with the highest technology in the region; Manufacturing Pride, offers the complete package, that is then exported to the big brands in the United States; Pride Performance Fabrics, fabric division, and Pride Chemicals, which manages chemical products, textiles and real estate.